I definetly agree, Maybe one of the "Last" "True" drivers cars. And one of the last true British cars sticking with the Ole formula of good old lightweight, Barely any car is under 3000lbs nowadays, Hell even Lotus's weigh 3000lbs today. Im a big fan of Noble, and I would also like to see an expanding line up, I know they sell them in the US under 1G Racing, And I think Rossion has something to do with there current lineup(Even though there Fusing with Mosler) But I would like to see them sell globally, And enter racing events to get there name out there more. But sadly, I don't think many people would buy cars like these now adays, There all so soft and rather have the car drive them. Nobles are amazing! They are some of the best true driver's cars. I think they just should expand their model range and sell their cars outside the UK too. A new track version of the M600 would perfect. 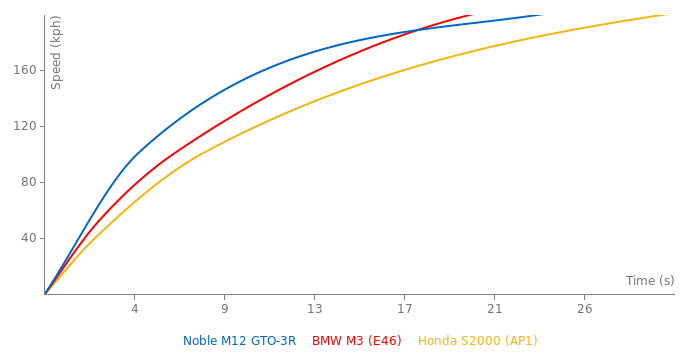 As well, they should introduce the more mainstream model, something like M400, rated at ~500 PS out of Twin Turbo V6, using the same ultralight formula. That would be a hell of a monster. These are THE most fun cars you can have for under £50,000, £48,000 seems a bit pricey, Specially 9 years ago, But you get a great Ford engine, 360Bhp, 0-60mph in 3.8s, 11.8@119.2Mph in the 1/4, And a car that has handling prowess almost unrivaled, With no apparent oversteer or understeer, just turn in and turn out, Awesome grip, Superlight weight, With nothing more then what you really need, Stereo and AC. Such a good car, Althoug I admit the boy racer spoiler is a bit, "Weird" But its grown on me. And the M400 is even better, AHs even more grip and power, While weighing about 30kg lighter, I think still to this day it holds the Edmunds fastest ever slalom speed of 79.2Mph. But, I think Noble lost something when they built the M600, It has grip, But not the lightweight grip of a M12. I'd say this would be a "poor-mans" Ferrari F40.... 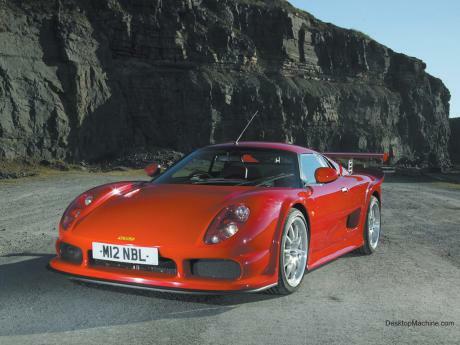 In fact, Noble's goal was to replicate the F40 with the M600. Sorry for posting frequently, but is this a poor man's McLaren F1? Different tests. Oh, and I think it has something to do with the high-drag coefficient. With a lower one, I'll guess around 12-13 seconds to 200 km/h. Like the Ford GT reaches 200 km/h in 12 seconds in one test, but a 1/4 mile in 11.2 at 131+ (estimated 200 of 9.9). It looks like a racing car. this has 360bhp not 351, and top speed is 175mph. Picture was a BMP. Therefore it did not show properly. Only JPG/JPEG or GIF format photos are allowed. So I removed it. if you want i can put another pic because its about a half year this way no? I am sorry but you can not use *.bmp files as car pictures. You have to use more commonly used JPG format image files.